The Favourite was, indeed, the favourite this week - at least in term of Bafta nominations. Yorgos Lanthimos’s dark comedy, period drama scooped 12 noms including Best Film, Outstanding British Film, Original Screenplay and Best Director. Olivia Colman has been nominated for Leading Actress for her superb performance as Queen Anne and Rachel Weisz and Emma Stone have both been nominated for Supporting Actress. 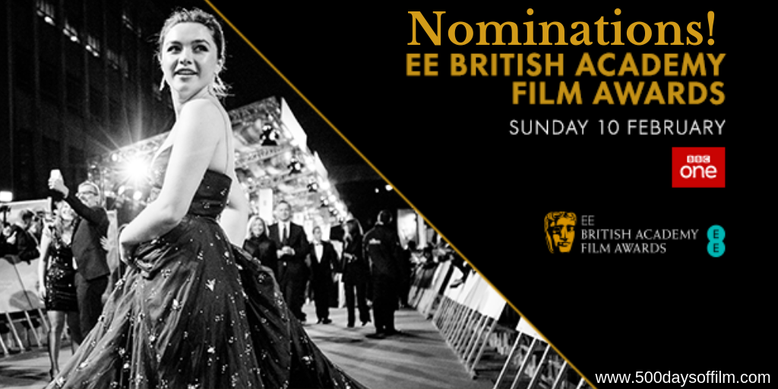 The Favourite features stunning cinematography, costume and production design - all of which have been rewarded with Bafta nominations in their respective categories, alongside noms for best make-up and hair. First Man, Roma, Bohemian Rhapsody and A Star Is Born have also been recognised, landing seven nominations each. Vice has six noms, BlacKkKlansman has five, and Cold War and Green Book have four each. Can You Ever Forgive Me?, Mary Poppins Returns, Mary Queen of Scots and Stan & Ollie have three nominations each. Here are the nominations in full plus my favourite pick (not necessarily what I think Bafta will choose) is in red. The award is voted for by the British public and presented to an actress or actor who has demonstrated exceptional talent and has begun to capture the imagination of the UK public. Bafta 2019 takes place on Sunday 10 February at the Royal Albert Hall, London. The ceremony will be hosted by Joanna Lumley. Whatever you think about movie awards, they certainly get us talking about films and that is never a bad thing. What do you think of the Bafta nominations? Let me know in the comments section below or over on Twitter. You can find me @500DaysOfFilm.